Co-hosts Carrie-Ann Baron and Clifford Edwards are here to share their knowledge and experience on living life as an inspired leader. They will share concepts and strategies on how you can too… in your life … and in the world. Last week, we talked about "Choosing" how you want to be seen in your life... the next step is to be honest about where you are right now? What's working for you? What isn't. It's time to "confess" and get real. Claim your power and responsibility! Find out what this means, why it is important and how you become a creative agent for manifesting your dreams. Join us for a candid discussion on how we did this and how you can too. Join us for a candid discussion on why it is so important to clean up and resolve incomplete issues, incomplete projects and physical clutter. And HOW this relates to becoming an Inspired Leader in your life and business. nternal Clutter? Yes, those nagging voices in your head represent judgement, limiting beliefs and doubts about your ability and gifts that you are meant to share with the world. In this podcast episode, Cliff and Carrie-Ann share when they remember getting clear on their "Why and What" and what they are meant to offer the world. Construct - GET INTO ACTION! Once you make the commitment to your life's purpose, it is time to TAKE ACTION. The first step is to consider what you need to stay inspired - dedicated self-care time, a support team and a structure that will be your foundational building block that with raise you up and create a win-win for all meant to be inspired by your work. 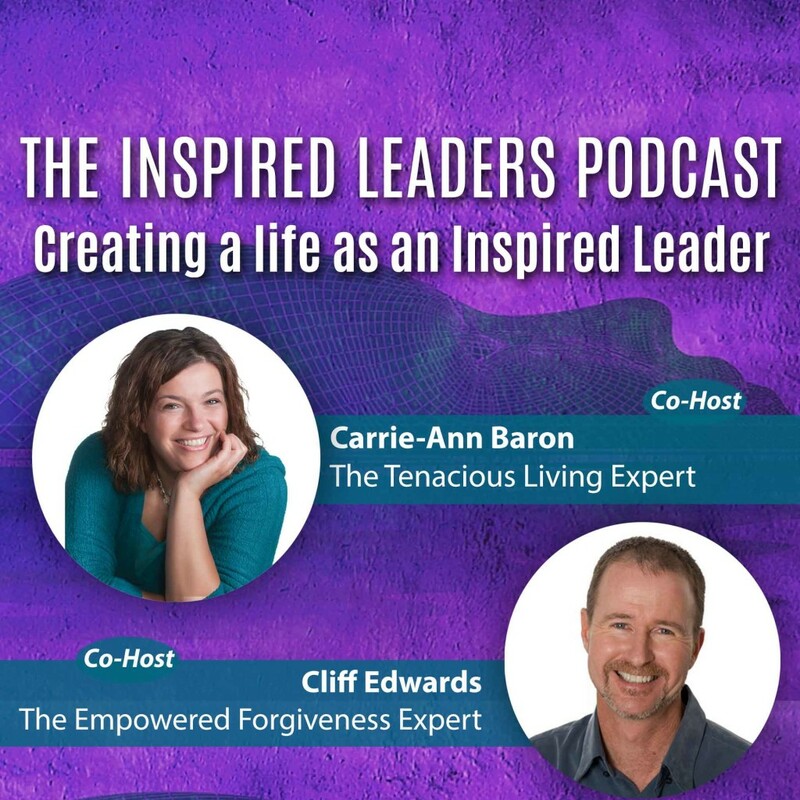 Cliff and Carrie-Ann share the simple steps they took to create a life as an inspired leader. The final step in creating a life as an inspired leader so you can make a positive & inspiring change in your life, and the life of others.